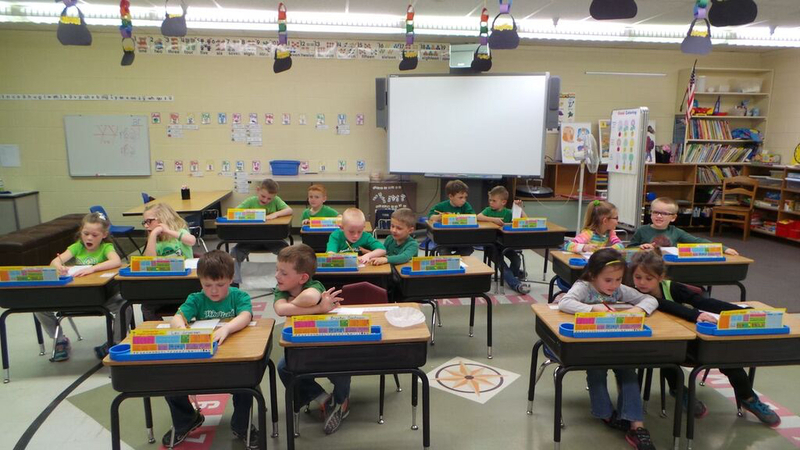 Judy Kassik’s kindergarten students at Exeter-Milligan paired up with their elbow partner during writing class. They worked together writing lists. Each student got a turn at writing a list while the other partner helped with ideas and spelling. The two lists we worked on were "Things You Could Collect" and "Things That Are Green"
Back- Kayden Hale, Will Kallhoff, Richard Hickman and Clayton Pribyl.